According to data from the national Gun Violence Archive, 532 children and teenagers have been fatally shot in Illinois in the last five years. It was the week after his birthday when a 15-year-old died with a bullet in his back at a hospital near Cahokia, where he’d been shot at a relative’s home. When bullets fly in the metro-east, sometimes they hit a teenager, a 10-year-old, even a baby, a Belleville News-Democrat investigation found. And often, it’s another young person pulling the trigger and facing criminal charges — including some who aren’t old enough to legally own a gun. At the end of 2018, a 13-year-old was charged in connection to 15-year-old Darris Williams’ shooting death in October in Cahokia. Earlier that same month, a 12-year-old was charged after an infant was shot in the leg. The baby survived. , who was fatally shot in an Evansville, Illinois, home in 2017. Most of the shootings were ruled to be homicides. Half of them happened in East St. Louis. The Trace used information from the Gun Violence Archive, a nonprofit research group that tracks shootings through news and police reports, to identify the deaths, so that number may not include incidents not publicized by police or reported by media organizations. More than likely, the number is higher. Instead of a birthday party, people attended a vigil when Johnnie Brim would have turned 17. He died a week earlier in a drive-by shooting when he was standing on an East St. Louis porch on New Year’s Eve. Anton McDaniels Jr., 14, was walking home from a baseball game when he was shot and killed in East St. Louis. Anquan Palmer, 16, was found in a bullet-riddled car. At the other end of the barrel, four suspects who have been charged or sentenced in connection to the 20 local deaths were younger than 18, the legal age to purchase or possess a firearm in Illinois. Some kids have gotten their hands on guns coming from burglaries or drug dealers, East St. Louis Detective Sgt. Gilda Johnson said in a 2017 conversation about the growing problem of teen violence. “Like cigarettes and alcohol, you can get a gun just by walking down the street and asking for it,” she said. 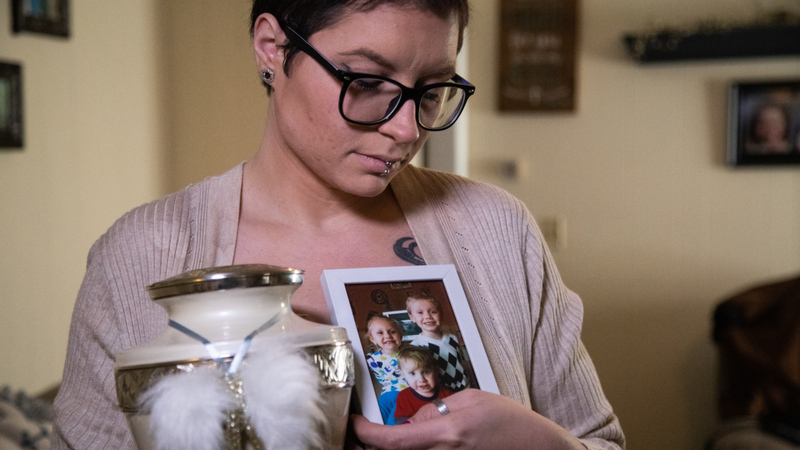 Olivia Johnson, a researcher and former police officer, said sometimes kids know where a parent’s gun is kept, already loaded for home security. It’s how a 4-year-old boy from East St. Louis shot himself in the hand in September. His mother had her gun in a closet, according to police. The youngest juvenile charged as an adult by former St. Clair County State’s Attorney Brendan Kelly was a 15-year-old in 2017. The boy is accused of shooting someone in the head when he was 14. Belleville attorney James Gomric was picked at the end of January to take over for Kelly, a Democrat who left the job to become the director of the Illinois State Police in Gov. J.B. Pritzker’s administration. In the local homicide cases, teenagers have faced prison sentences ranging from a decade to 55 years, according to the News-Democrat investigation. The longest sentence was handed down to a 19-year-old found guilty in the drive-by shooting death of Romell Jones, an 11-year-old bystander who was waiting for a ride to basketball practice in the parking lot of an Alton public housing complex. The teenager will be in his 70s before he gets out of prison. As the cases worked their way through the courts, motives came to light, such as retaliation and disputes over stolen items or music. 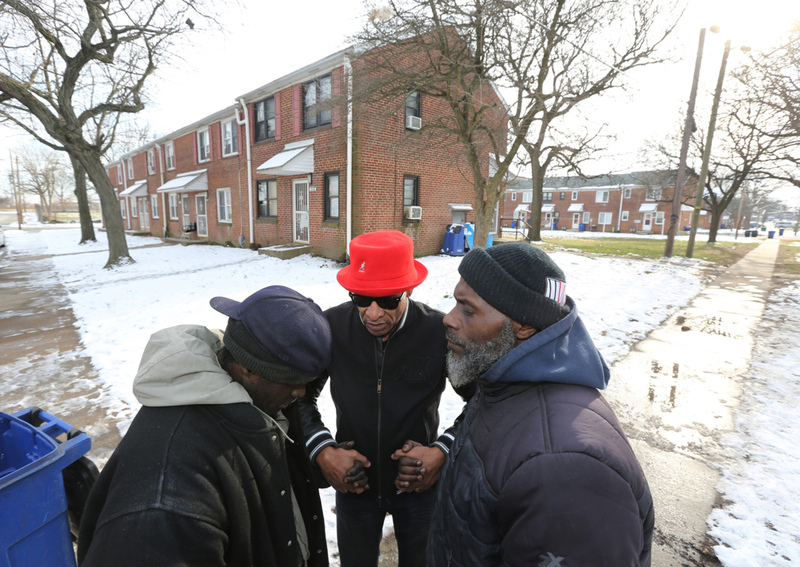 Sometimes drugs or gangs are involved, and gun violence in the inner city is part of the culture young people grow up with, community leaders say. In about half of the homicides, any motives for the shootings are still unclear, according to media reports. “I’d say a lot of young lives are being thrown away because of ego or anger,” Olivia Johnson said. Young people can act without thinking about the consequences in moments when they’re upset or stressed, she said. The Rev. Norma Patterson, a community leader in East St. Louis, said a lack of education, jobs, role models and supervision were all contributing to the problem of gun violence among youths. A new Illinois law allows school districts in Illinois to provide busing for students who live within 1.5 miles if there is high-crime rates in the area. Some believe they need to be armed to protect themselves. A defense attorney argued in a trial for a 2014 murder that 17-year-old Craig Miller shot 16-year-old Malik Garrett because he was afraid for his family. The older boy had been shot at when he was 13 and carried a gun since he was 14 because of the dangerous neighborhood they lived in, the defense argued. He was from Brooklyn, and Malik lived in nearby Venice. Someone shot at his home in a drive-by that day, and he thought it was Malik. The prosecutor said Malik had nothing to do with the shooting. At 19, Craig Miller was sentenced to 40 years in prison. Malik’s mother, Annette Compton, said that families in those neighborhoods were coming together in the aftermath to encourage kids to find other ways to work through their problems. It resulted in a group called PeaceKeepers, which organizes events like a summer camping trip and promotes job openings and opportunities to expunge criminal records. A few of metro-east’s fatal shootings were believed to be accidents, like an 18-year-old cancer survivor from unincorporated St. Clair County near Belleville who was shot in 2018 when his friend was handling the gun the victim had recently purchased. “Unfortunately, in today’s age, young men are not trained to handle guns properly, yet they have a fascination with guns, and this resulted in a shot being fired that took the life of Cole Wierciszewski,” Capt. Bruce Fleshren, of the St. Clair County Sheriff’s Department, said at the time. Sometimes, the bullets that strike children were meant for someone else. A 1-year-old girl was shot in the arm last month while walking to an East St. Louis store with her father. Police said it was a drive-by shooting aimed at a group of young men standing outside the store. “We are tired of the senseless shootings,” the girl’s father told the BND. The community there recently pushed for a change in state rules to let all students ride school buses even if they live nearby. They said East St. Louis children would sometimes pass a crime scene or drug activity on their way on foot, which they argued was unsafe and affected classroom attendance. It took two years, but their campaign worked. Now, children in school districts across the state don’t have to walk to and from school if they live in places with a pattern of criminal activity. “We are trying to make a difference, in not just our kids’ lives but all kids’ lives,” said Lettie Hicks, another East St. Louis parent.